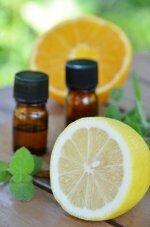 I am always looking for smart essential oil tips. They make life easier, save time, and often save money. 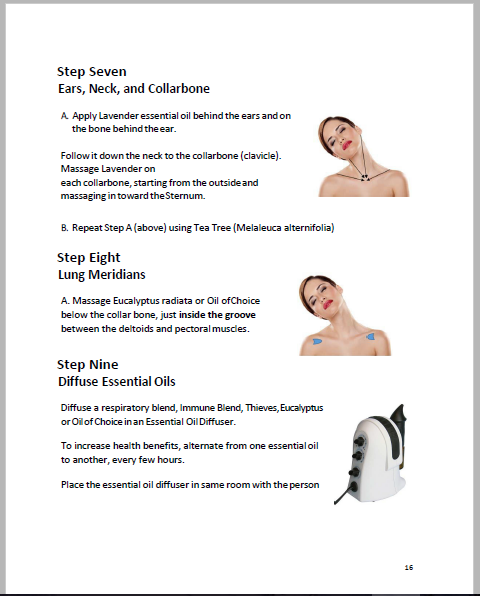 I hope you find some useful essential oil tips on this page. Feel free to share your tips at the bottom of the page in the comments section. I would love to hear from you! Here is a great essential oil tip for using empty bottles. Re-purpose your empty 5 ml essential oil bottles into sample bottles. Share them with friends, family, and new acquaintances. It is a wonderful way to share the oils. You can fill the bottle up with essential oil (approximately 85 drops) to give as a gift. You can add a few drops to the bottle to offer someone a beautiful experience with essential oils. You can use them to supply your loved ones with essential oils. I often do this for my Grandchildren. I put 5 ml bottles in a zippered pouch in my purse and refill them as needed. I also created a zippered kit for my husband and one for my son. They put them in their lunchbox so they always have essential oils with them to use in their water (lemon, lime, orange, etc. ), for alertness (peppermint), and thieves (for a million reasons). I also put in emergency oils (Aroma Life, Helichrysum, Melrose, Idaho Balsam Fir, etc.). It gives me peace of mind knowing they have them. Another great essential oil tip is to make an essential oil travel kit. Use small 5 ml bottles for when you travel out of town or go on vacation. I created an essential oil travel kit because even though it would be nice to take all of my essential oils with me, it isn't always practical. Big bottles of carrier oil can be bulky and messy. This makes it easy to take your carrier oil with you! You can use your 15 ml bottle to make up dilutions of essential oils for babies and children. This is an easy and convenient way to do it, it can save you time and hassle. I like to make up dilutions of Thieves, R.C., and Raven for respiratory support. You can make dilutions of the oils you use most often. For babies dilute 1 drop of essential oil to 1 tablespoon of carrier oil (olive oil, coconut oil, sesame oil, etc). For children dilute 1 drop of essential oil to 1 teaspoon of carrier oil (olive oil, coconut oil, sesame oil, etc). Clearly label the bottle and add expiration date. Note: Essential oil dilutions take on the expiration date of the carrier oil it is mixed with. Fill the bottle with Epsom salt, Baking soda, or half of each and shake. Save for your next bath to enjoy the healthy benefits of the essential oil and from the magnesium in Epsom salts. Just pour the bottle into the bath water. You can also fill your empty bottles with Epsom salts and after a few days empty them into a mason jar to create a bath blend. Add 1/2 - 1 cup of blend to bath water. Note: Essential oil bottles usually have residues of oil left in them. This is a great essential oil tip to capture the residue.